With Easter approaching next month, I thought it was time for some seasonal crafting. I have created a craft that works well as a DIY Easter centrepiece or a project to work on with children. 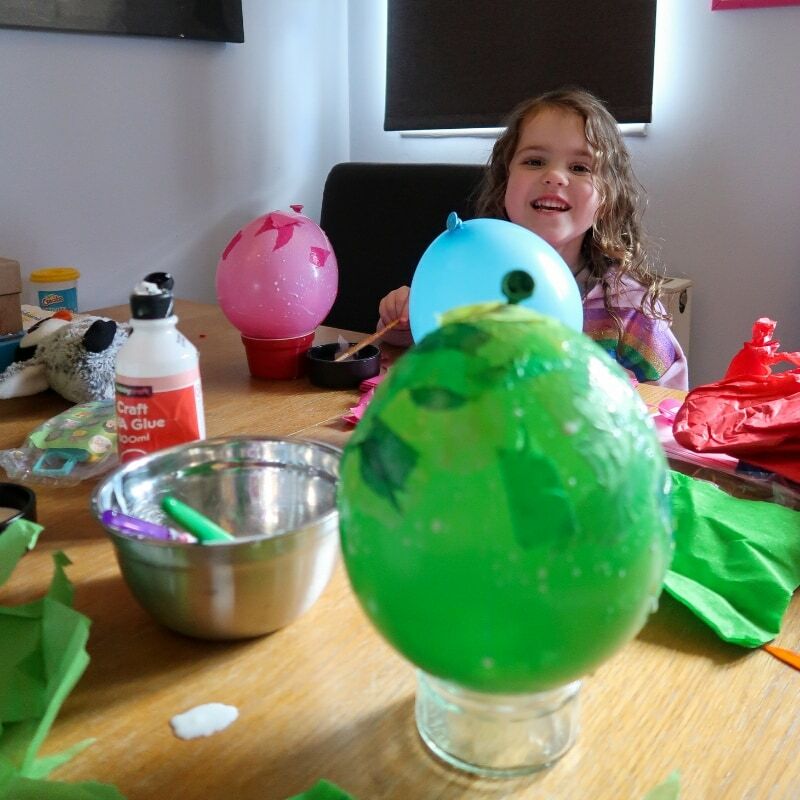 These egg-shaped paper mache lanterns are great fun to make and they make a lovely addition to the Easter table once they are finished. 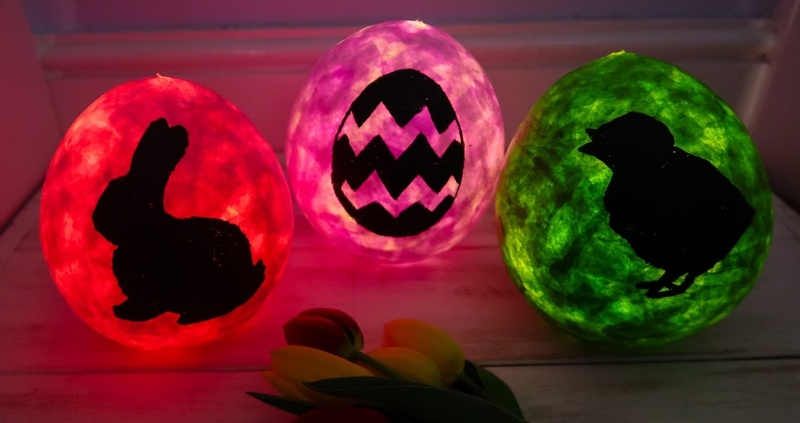 You can use your choice of colours and Easter symbols. 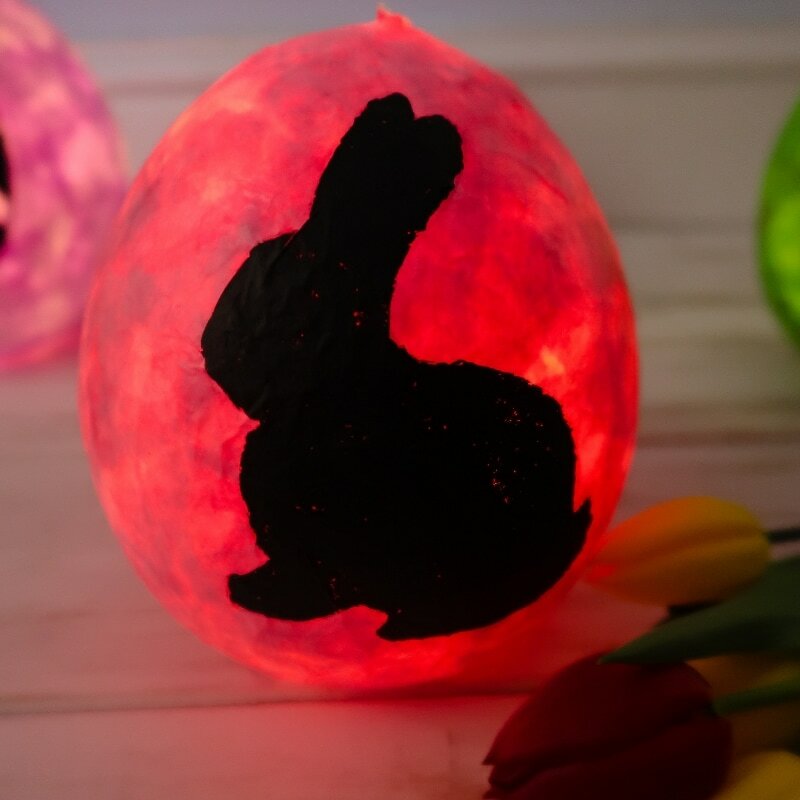 Once electric tea lights are added, they add an atmospheric glow to a family dinner or can be used to decorate a party or egg hunt. Blow up a balloon for every lantern you would like to make. Be warned, each lantern takes several days to complete, as layers need to dry. We made three lanterns – one for me and each of the children, but making one can be just as effective. The balloons should not be fully inflated – just enough to create the size of lantern you would like. Next, rip up pieces of tissue paper in the colours required. Fairly pale colours work best, as the light will need to penetrate through the tissue paper once the lanterns are finished. For example, we used pale pink, pale green and white with a hint of lilac. Meanwhile, create a mixture of PVA glue and water, using around half glue and half water, perhaps two-thirds glue to one-third water. The mixture should be easy to spread with a paintbrush. 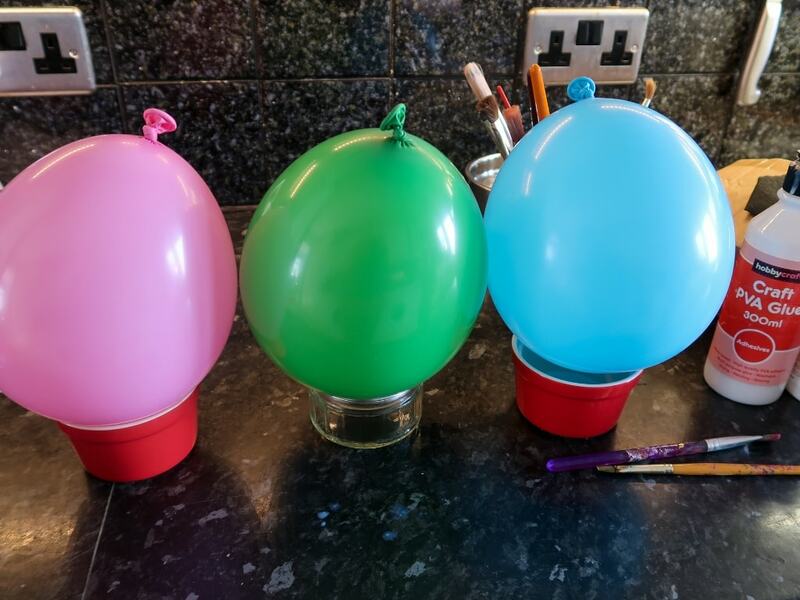 Balancing the balloon in a small bowl or pot, begin to coat it in glue and tissue paper, starting at the top around the knot. 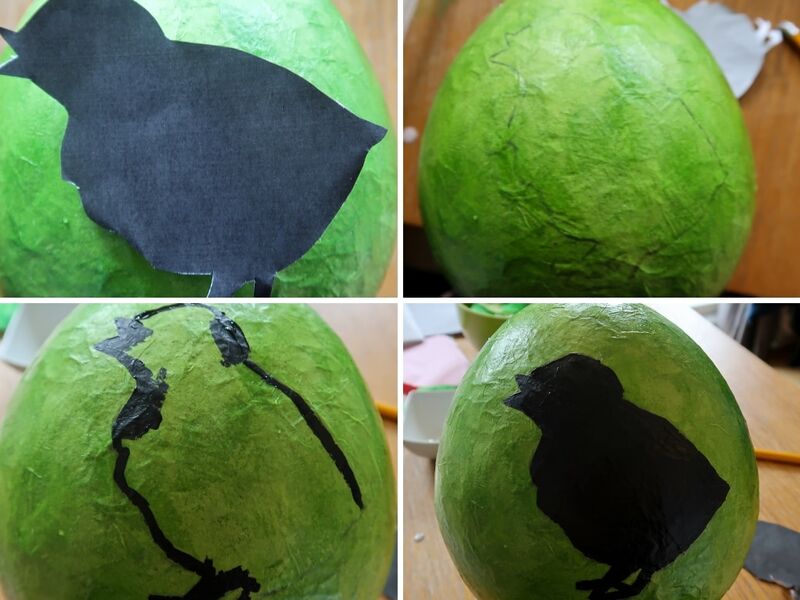 Next, add glue and tissue paper pieces until you have covered over half the balloon in a layer of tissue and glue. My kids had great fun doing this part. Then, turn the balloon over so that the fatter end is on top. In order to fit the lights in at the end, you will need to leave a circle of around 7cm in diameter uncovered. Make sure this is in the centre of the bottom and mark it out with marker pen if you need to. Allow each layer to dry before adding a new one. 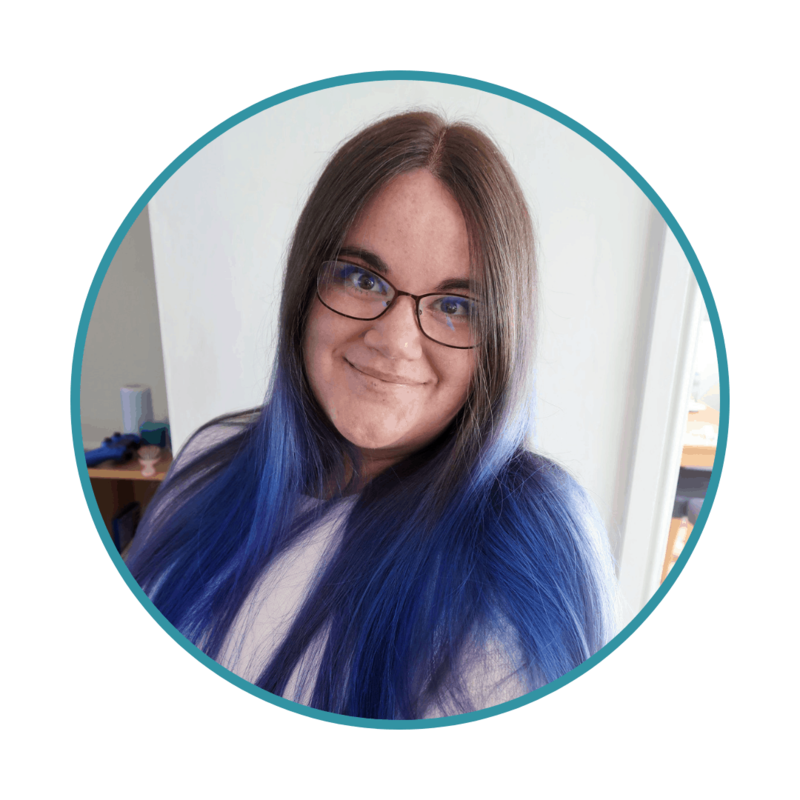 I managed to add two layers a day by doing one in the morning and one in the evening, separated by 6 hours or so. You will need to have 6-8 layers of tissue paper on each lantern, making sure you have even coverage. This does mean that it took 3 days for my lanterns to have enough layers. However, this was mainly due to the drying times. It was only a few hours of work in total. Older children should be able to cope with this more, as mine did get a little bored. Once all 6 layers were dry, I added a final layer of PVA mixture to smooth down any flaps and add a nice sheen to each egg. This took a little less time to dry – just an hour or so. 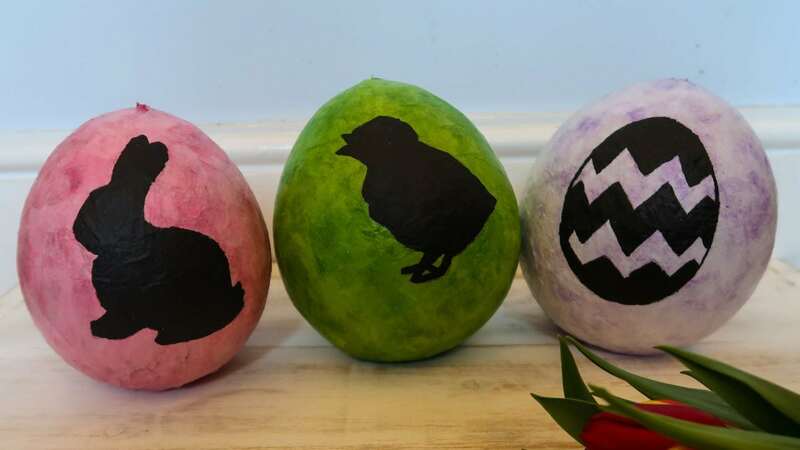 The next stage is to add Easter silhouette shapes to the outside of each egg. I printed off a rabbit, a chick and a patterned egg to use on our lanterns. You can use any shape you would like though. Simply Google the image you would like and make sure it is the right size and not too fiddly to cut out. 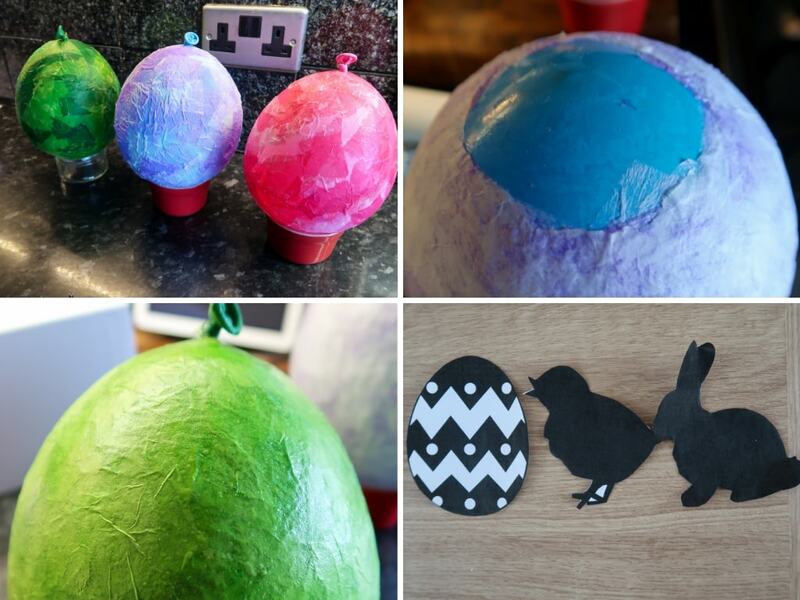 Draw around the shape onto the front of your paper mache egg. Finally, I painted my shapes black to give a silhouette shape that should be very effective when the lamps are lit. After that, the last step is to pop the balloons. Take care that the eggs are completely dry. The latex from the balloons may take a little teasing to come away from the tissue paper. We used electric tea lights from Amazon. You can get a box of 20 very reasonably. Simply attach the lights to the inside of your lantern, using the hole at the base. I used double sided sticky foam pads to secure ours. And there you have it – use the lanterns to decorate around your house or as a beautiful centrepiece for an Easter meal. In addition, they even work as night lights for children!